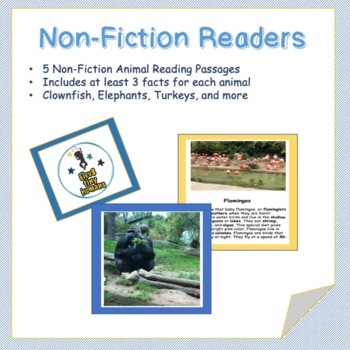 These nonfiction reading passages are good for grades kindergarten through grade 2. They contain animal facts about 3 different animals. These sheets can be used in different ways, you can assign the reading and a reader's response. You can create questions associated with the passages to assess student abilities. I especially use items like this as homework during our nonfiction unit.